So, one day shy of exactly one year ago, I posted a quick article about making it one whole week without any tobacco intake. It was not an easy decision to make to quite smoking cigarettes…for good, and here I sit, over one whole year later, an accomplished man. In that post I pointed out how I was coping with the tension and withdraws: by working out. Weights and cardio all the way. That was my approach. It was health that I was after, so putting the focus on actively doing healthy things instead of the negation of unhealthy things just seemed to make sense to me. After 20 minutes the high blood pressure caused by smoking, and the ensuing risk of heart attack was minimized as blood pressure rate became normal. After 8 hours nicotine and carbon monoxide levels in my blood were greatly reduced; oxygen levels in the blood returned to normal. The chances of a heart attack started to fall. After 10 hours carbon monoxide (CO) level was cut in half. Carbon monoxide is one of the major pollutants that produce bad effects on cognitive skills and health. It also affects the oxygen, which is one of the most vital substances necessary for survival. When the carbon monoxide level is high, it decreases intake of oxygen rich blood from lungs, which can lead to many serious problems. We increase our energy levels by smoothing the passage of oxygen as we restrict the carbon monoxide level by quitting smoking. After 72 hours my bronchial tubes began to relax; energy levels increased. Breathing became easier. After 2-22 weeks I got rid of bad circulation and (the risk of) numerous other disorders like slow cold feet, decreased skin healing, peripheral vascular disease (PVT), and Raynaud’s disease. After 1 to 9 months my cilia (tiny hair-like structures that move mucus out of the lungs) began to regain normal function in the lungs, increasing the ability to handle mucus, clean the lungs, and reduce the risk of infection. Now, after 1 year I reduced the risk of heart attack to half that it was when I smoked. In 4 years I will have reduced my risk of stroke in half from what it was when I was smoking. In 9 more years I will have cut my risk of developing lung cancer in half, as well as greatly reducing the risk of cancer of the mouth, throat, esophagus, bladder, and pancreas. And in 14 more years, my risk of coronary heart disease will be the same as a non-smoker’s. That’s right, it will take me another 14 years before my health and risk levels are back to normal. But I know that by quitting smoking, I greatly increased my chances of actually living that long! In the meantime, I plan on celebrating! Tomorrow is my Yoga day, and after that I’m throwing a party. Hears to health! Looks like you approached this very methodically. By keeping track of your positive progress, you’ve fed your motivation in the face of withdrawals. And also by filling the void with exercise was also a wise move. If nothing replaces the space where smoking filled, it’s impossible to move forward and progress. We are the manufacturer of Montecristo cigars which is a big brand of Uk. 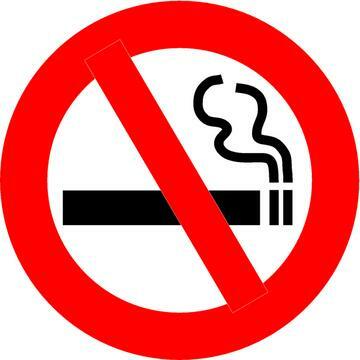 Although we have the tobacco business we will still suggest people to remain away from this. So thanks a lot for creating this blog and let us comment. Which killed more people cigarettes or the holocaust?